← Well thanks for that! A whole Nation is in shock and so am I. We lost one of our childhood best friends, an idol, someone we could rely on. What is left now is a big, black hole in our heart which cannot be filled. 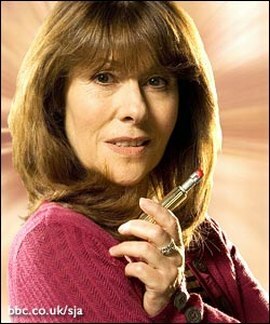 Yesterday morning we lost our beloved Elisabeth Sladen aka Sarah-Jane Smith. Neil and I where shocked after I spoted the news on twitter. First we thought and hoped it would be a bad joke, but after a few minutes we realized that it was true…sadly. She lost a fight against a mighty enemy: Cancer. My deepest heartfeeling go to her family and closest friends in this hard time. Even if I never had the time of actually meeting her (everytime Neil was working with her, I went back to Germany), she became a close, dear friend through all her work in Doctor Who. Seeing her with the Doctors on the screen, reading about her adventures in books or listen to her beloved voice in an audiobook. All those experiences made me feel as if I would know her for real. The Sarah Jane Smith audiobook she signed for me while working with Neil, will be now an even more treasured memory of a person I loved. I will miss you Lis….and I still want to be like Sarah-Jane….maybe even more after you left us. We will light the candles for you again in our little backgarden, like we did yesterday, look up to the skies to see the stars and imagine you up there to finally find out about all the wonders and miracles in the universe. And if I’m strong enough and stop crying all the time…I will relisten to all my Sarah-Jane audibooks and also get the Jon Pertwee episodes out to watch them from the first episode where you appeared in. But this may take a few days to come over the pain and sorrow…. So for all friends of Lis Sladen/Sarah-Jane out there…light a candle for her tonight because she has one of the biggest family in the world…just like her beloved Doctor. And if we all turn on a little light I’m sure it will make her smile…that smile that was so heartwarming…that smile that made you feel better in an instant. Let us show the universe that we are sad about her loss but that we all stand together, remember her and keep the memories of her treasured in our hearts. Farewell Lis…you will always be the best companion and a beloved friend. P.s. 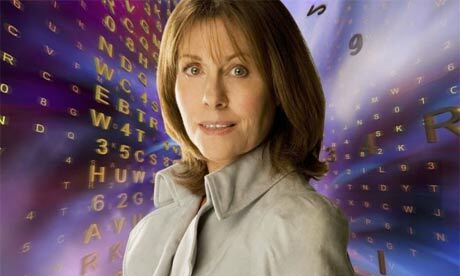 : Have a look at these two lovely blogs from friends who are also shocked by the loss of Lis Sladen. Here is the one from Pete and here is the one from Neil. This entry was posted in Uncategorized and tagged audiobooks, AudioGo, BBC, Bigh Finish, Doctor Who, Elisabeth Sladen, Lis Sladen, Sarah Jane Adventures, Sarah-Jane Smith, SJA. Bookmark the permalink.